For the first time, we have learned that fan favorites such as Nathan Fillion (Firefly, Castle), John Krasinski (The Office), and Pixar fave Bonnie Hunt (Monsters, Inc., Cars, Toy Story 3) are officially part of the cast. Of course, the studio’s good luck charm John Ratzenberger, who has appeared in every single Pixar feature, will be back as well. 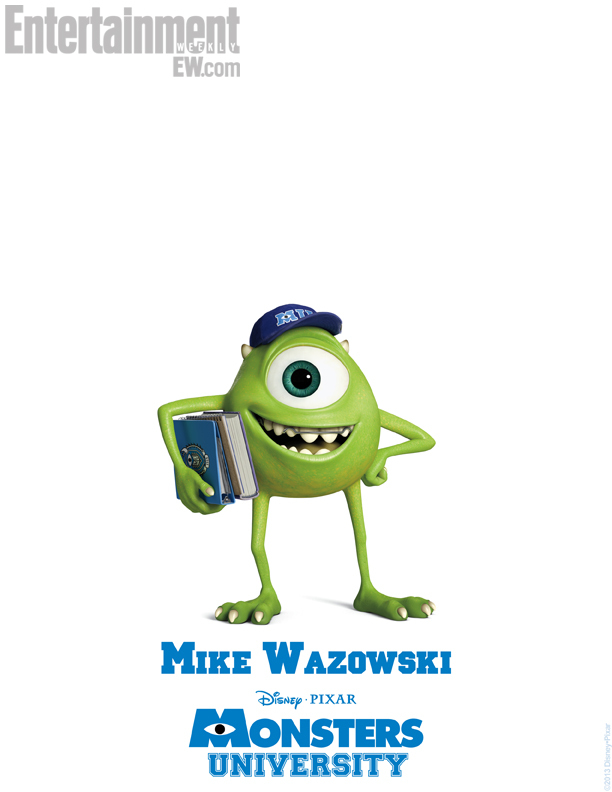 Billy Crystal (When Harry Met Sally) reprises his role as Mike Wazowski, now a college-age monster who follows his dream of becoming a Scarer at Monsters University. 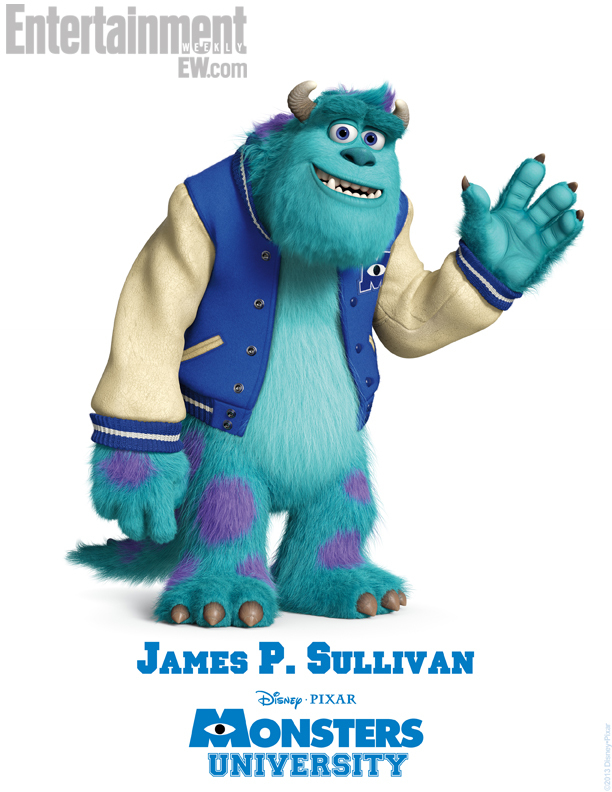 John Goodman (Argo) returns as James P. Sullivan (“Sulley”), an overly confident, young hotshot Scaring student at Monsters University. 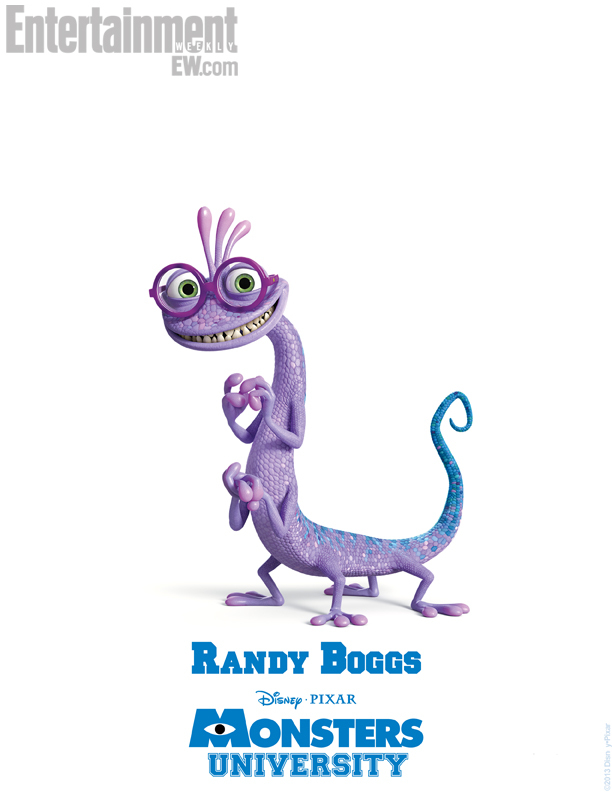 Steve Buscemi (Boardwalk Empire) rejoins the monster world as Randy Boggs, a Monsters University freshman who is ready to experience all that college has to offer (if only he can curb his habit of disappearing). 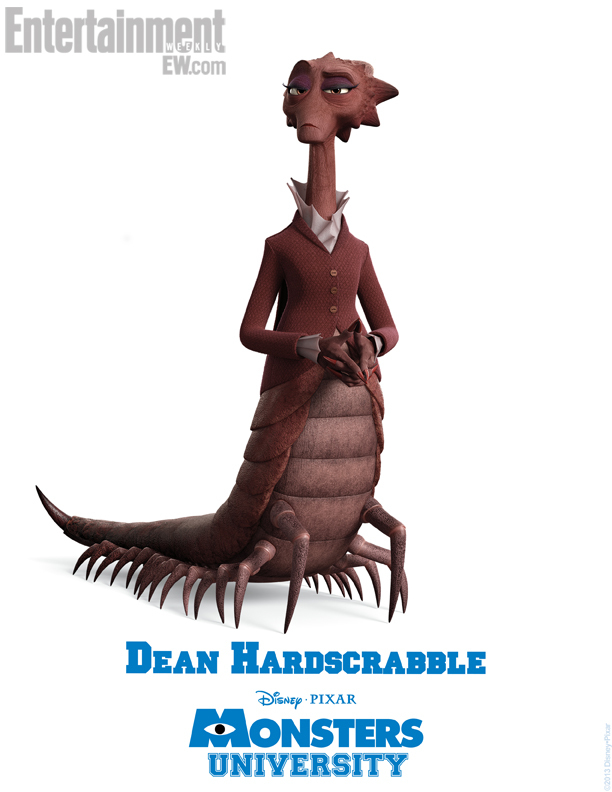 Helen Mirren (The Queen) gives voice to Dean Hardscrabble, legendary Scarer and hard-to-please head of Monsters University’s prestigious School of Scaring. 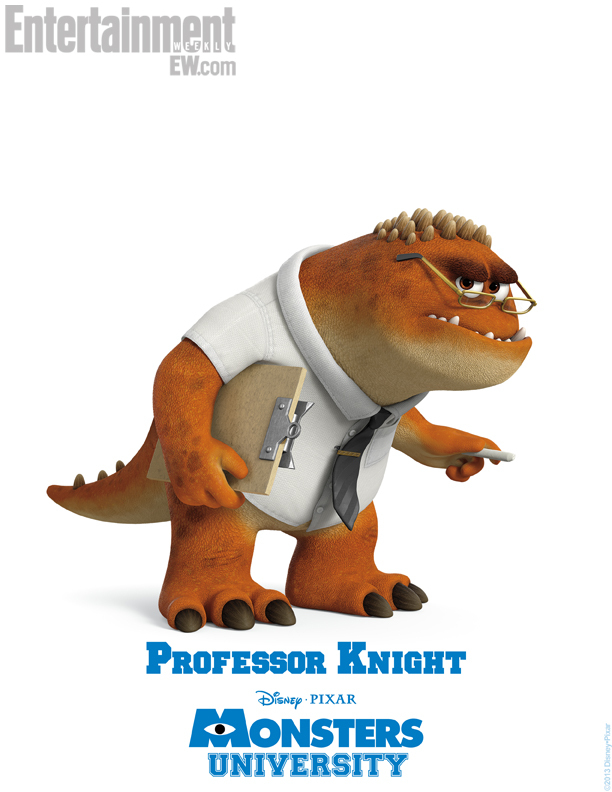 Alfred Molina (Spider-Man 2) is the voice of Professor Knight, an esteemed professor in Monsters University’s School of Scaring. Dave Foley (The Kids in the Hall) as Terry Perry, the skeptical half of a bickering two-headed monster and dedicated Oozma Kappa (OK) brother. Sean P. Hayes (Will & Grace) gives voice to Terri Perry, the more sensitive side of a two-headed Oozma Kappa (OK) fraternity brother with Scaring aspirations. 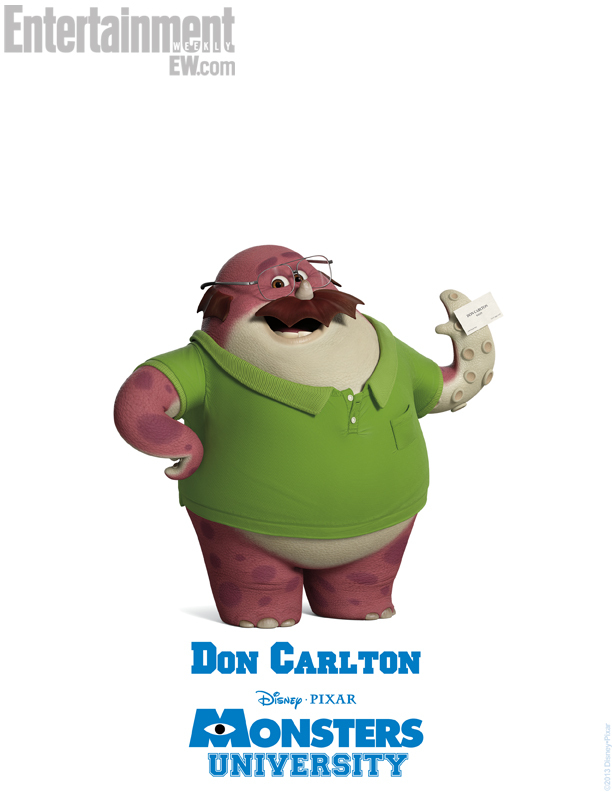 Joel Murray (Dharma & Greg) voices Don Carlton, a “mature” student at Monsters University and a founding member of the Oozma Kappa (OK) fraternity. 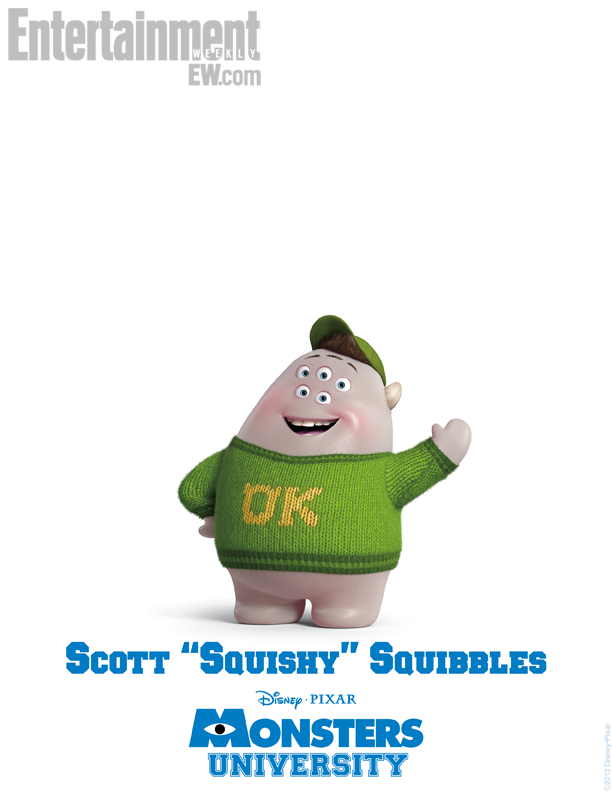 Pixar animator and voice actor Peter Sohn (Ratatouille) provides the voice of Scott “Squishy” Squibbles, an undeclared sophomore at Monsters University and Oozma Kappa (OK) fraternity member who still lives with his doting mother. Charlie Day (Horrible Bosses) provides the voice of the incomparable Art, an Oozma Kappa (OK) fraternity brother with a questionable past. 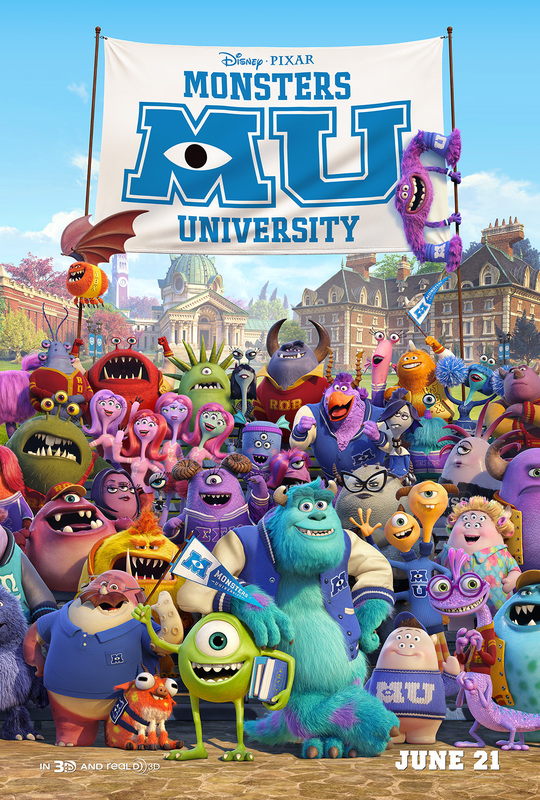 Nathan Fillion (Castle) portrays Johnny Worthington [the monster with the horns, above], the confident president of Roar Omega Roar (ROR), a Monsters University fraternity that prides itself on its notable Scarers. 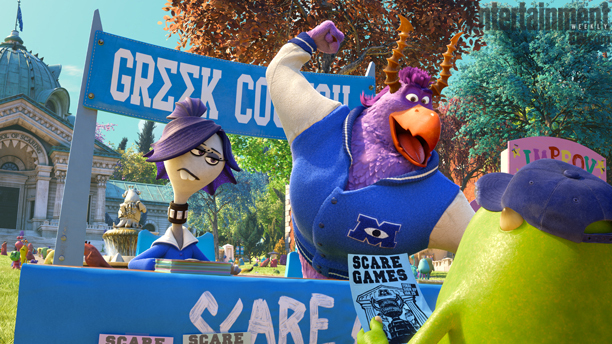 Aubrey Plaza (Parks and Recreation) gives voice to Claire Wheeler, the somber president of Monsters University’s Greek Council and emcee for the annual Scare Games. Tyler Labine (Tucker & Dale vs. Evil) was tapped to voice Brock Pearson, vice president of the Greek Council and enthusiastic emcee of the Scare Games. 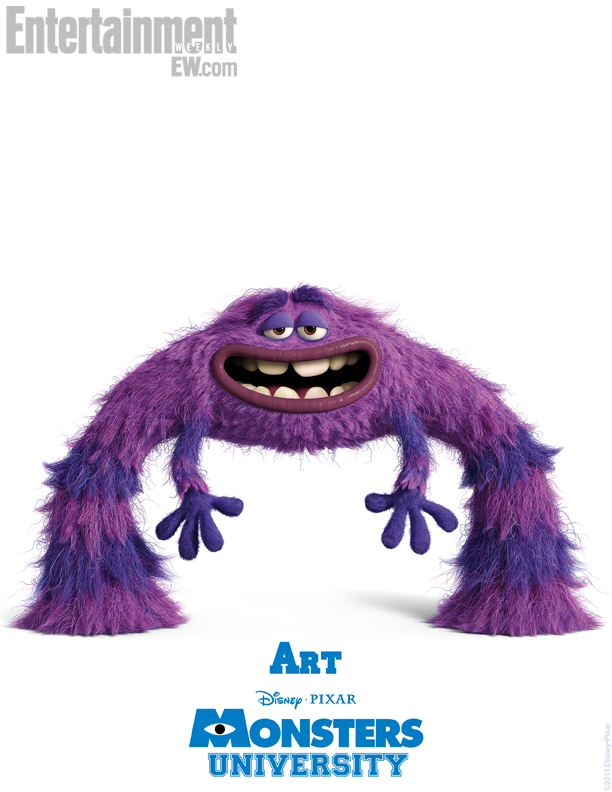 John Krasinski (The Office) provides the voice of “Frightening” Frank McCay, a Scaring super star at Monsters, Inc.
Bonnie Hunt (Cheaper By the Dozen) was called on to provide the voice of young Mike Wazowski’s grade school teacher Karen Graves. Bobby Moynihan (Girls) helps bring to life Chet Alexander, a yes-monster member of the Roar Omega Roar (ROR) fraternity. Julia Sweeney (The Goode Family) lends her voice to Ms. Squibbles, indulgent mother to Monsters University sophomore Scott “Squishy” Squibbles. Beth Behrs (2 Broke Girls) serves as the voice of Carrie Williams, fearless leader of the Python Nu Kappa (PNK) sorority. John Ratzenberger (Cheers) returns to the Pixar recording studio as the voice of a Monsters, Inc. employee. 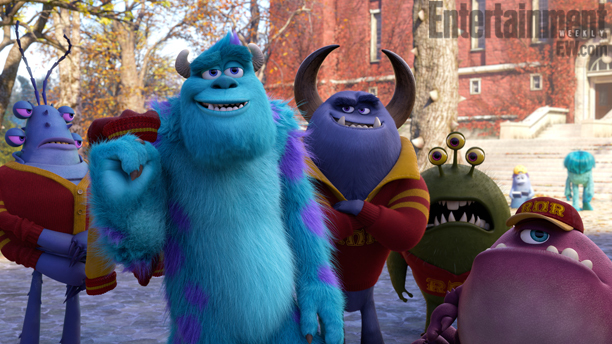 Monsters University is scheduled for release on June 21.